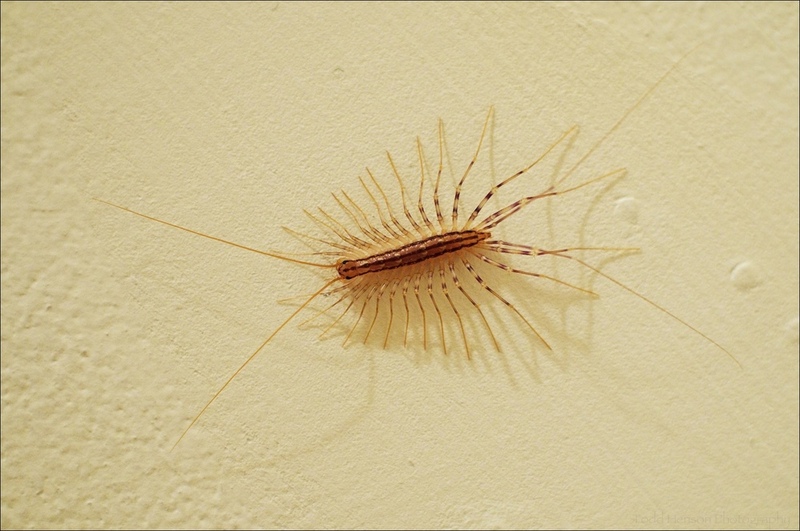 The House Centipede is so named because it is most commonly found in buildings. It is most often seen at night crawling along a wall or across the ceiling. They are very fast and agile. House centipedes are completely harmless to people.